“The war got bad when I was a kid so we ended up moving to Kenya,” says Erik Hersman over the phone from San Francisco, where he is on business for his latest intuitive BRCK. He is talking about his childhood - his parents were both British linguists who started off in South Sudan and migrated south over the border into Kenya. 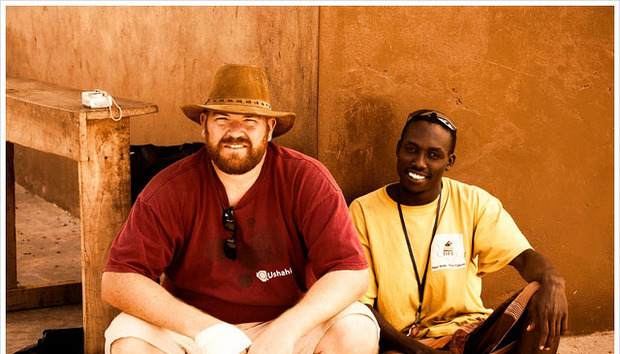 Erik Hersman has been at the forefront of numerous East African tech initiatives for some little while now. “Tech stuff is what I know,” he says by way of explanation. This is the man behind Ushahidi, which initially emerged to map post-election violence in 2008 but has come to be used the world over. He then went on to develop the iHub, an innovation community based in Nairobi which has since been copied across the continent. And he has now launched BRCK a “self-powered WiFi device” for emerging regions. This is on top of running two highly influential blogs, WhiteAfrican and AfriGadget and acting as partner in local seed fund and accelerator, Savannah Fund. Like all Hersman’s businesses the BRCK has made rapid progress. It launched in June 2013 on Kickstarter, quickly overshot its target, and received $1.2 million seed fund earlier this year. It is now shipping to 45 countries and although Hersman stresses “we focus a lot of our efforts on Africa because that is our world…” it is relevant everywhere. He explains at present, the people who buy these devices are those who might have a need: people who tend to travel a lot and tech people who operate in Africa and Asia. Yet this is also relevant to SMEs who might want to buy a couple of units at a time. And the serious target is ‘social’ verticals such as education and humanitarian response. The truth is many organisations are looking to solve Africa’s problems through technology but very few really understand what is happening on the ground. Hersman has a deep-seated understanding of the area and long-term interest in promoting social good through technology.